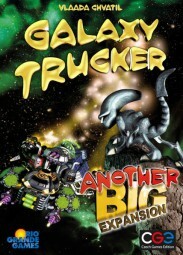 Produktinformationen "Galaxy Trucker - NOCH eine große Erweiterung (deutsch)"
Galaxy Trucker – Another Big Expansion. Just as big as the previous one. New tiles. New Support team to be hired to enhance your shipbuilding experience. New ship classes, including huge IVB ships. Yes, you may also fly round IV, and you can be sure that the cards are extra nasty there. Especially the intruders that board your ship, wander around and eat or blow up your stuff, unless your heroic crew beats them. Wait… that’s a different game, right? Aren’t we rather speaking about Space Alert now? Well… it seems this “lets board a ship and eat its crew” mode spreads prety fast in the known universe these days, as with this expansion, it can happen also in Galaxy Trucker. 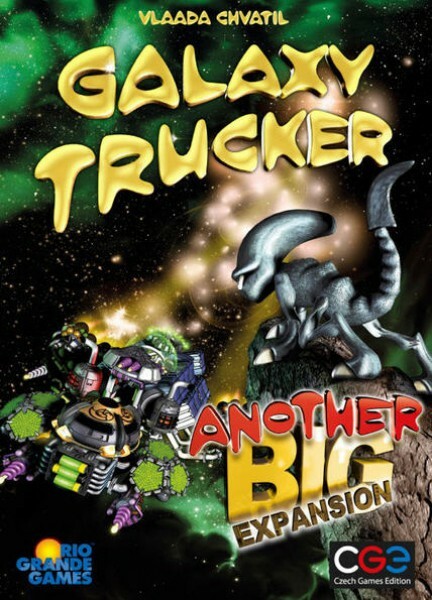 Weiterführende Links zu "Galaxy Trucker - NOCH eine große Erweiterung (deutsch)"
Kundenbewertungen für "Galaxy Trucker - NOCH eine große Erweiterung (deutsch)"